I have been meaning to head up into the Kaweka mountains to fish the twin lakes for some time. finally I made the trip up this past week for a day trip. The lakes are located 1 hour 15 up the Taihape road. Before getting to the lakes you take a nice 20 minute bush walk before dropping down into the valley. This area has some incredible sights, clear view of mount Kuripapango and other peaks of the kaweka range. Back in the early 1900s Brown trout sourced from loch leven in Scotland, were dropped in by plane. Since then they have thrived well, using the creek on the northern shoreline to spawn. Trout numbers are high and an average sized fish would weigh 1 pound and measure 30 centimetres. Part of the reason these fish do not grow big is the high population and the very cold lake temperatures. These fish feed heavily on terrestrial insects over the warm summer months. When I first got down to the lakeshore, I could already see many small browns leaping about and rising to some kind of insect. Later on I would work this out. I quickly moved away from the entrance which is popular with walkers, and began to sight some fish cruising. These were all small fish but for their length they are absolute tanks. After being unable to get them to rise to an Adams, I swapped around seeing how they would react. I eventually settled on a dry and a small hares ear dropper. The browns would quickly swim up after hearing the flies drop onto the water, look up at the dry and then race towards the nymph and stop just behind it. Something was off about it to them obviously. This happened on around 4 fish. I moved along the shore heading further round since I wanted to cover the whole shoreline, since it is easily walkable. I made another change to my flies and put on a soft hackle pheasant tail under an indicator. Trout were constantly rising and I was making casts to where I thought the trout would be heading. Eventually I sighted a trout and plopped the fly in ahead of it. This time the fish raced forward and took the fly no questions asked. 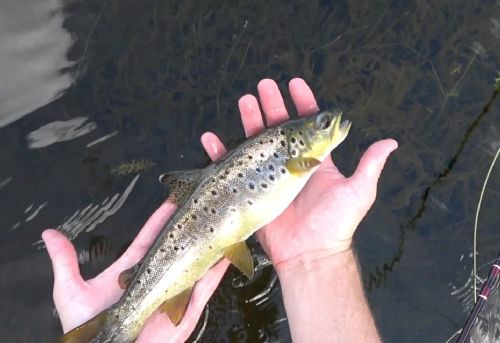 Compared to the rainbows I am used to these Brown trout fight differently, opting to try the shake the hook free and attempt to run and hide under the weed beds. I got the fish to shore, it weighed just over a pound. Quite stunning yellow / gold colours with many bright red and black spots. I released the fish and continued walking the shore. I was spotting many fish along with the extremely obvious rises, but what I saw next baffled me. A trout was sitting in a hole between a large weed bed. It can’t be a trout it’s too big, must be a log. Slowly the fins materialised and the head became clear. I took my time and made my first cast count. The soft hackle landed to right of the fish and surprisingly he didn’t bolt. He slowly turned to find the nymph which had now sunk into the edge of the weed. The fish dug it out of the weed and I struck. Perfect timing. 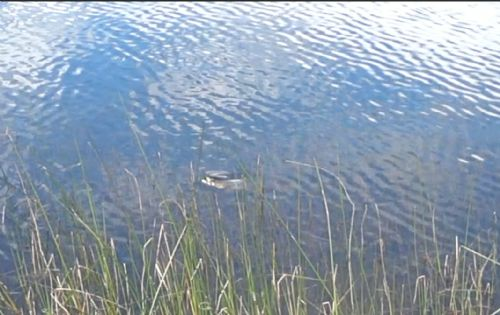 The fish raced away out into the lake on its first run. The fight was very good and the brown did its best to shake the hook free along with trying to wrap me up in the weed. After some tense moments I netted the fish. This fish weighed 4 ½ pounds and measured 53cm. A possible lake record. I got the photos and sent him on his way. A trophy for the lake I don’t know how many would be bigger living in the lakes. I continued to move around the lake and came onto a patch of fish jumping clear out of the water chasing damsel and dragonflies. I had nothing to represent them so I changed to a small dry hoping to imitate the other small bugs flying around. I hooked fish one after the other losing 4 and landing 4. This was all on a dry dropper, cast between the weed beds. Some fish were even right up on the shore in the flooded grass taking food off the surface. After I had totalled 7 fish caught and released I slowed down to look for more fish cruising. I randomly stumbled upon a brown of over 3 pounds cruising the shallows, he took a red damsel right at my feet. I think that was day well spent chasing small brown rocket ships. 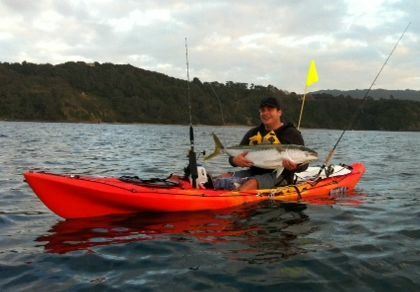 Many things learnt about different sort of fishery, which is rare in the North island. Used to fish the lakes there quite a bit when I lived in Napier and fished/hunted the Kawekas. I think our biggest might have just gone 2lb but most were around 1lb or so. From memory we used to get a lot in the evening on a Twilight Beauty. A good all round evening rise fly in that area. Great report thanks for putting in the effort to write it. Cool post, great to see places that I’d never heard of with fishing like that. 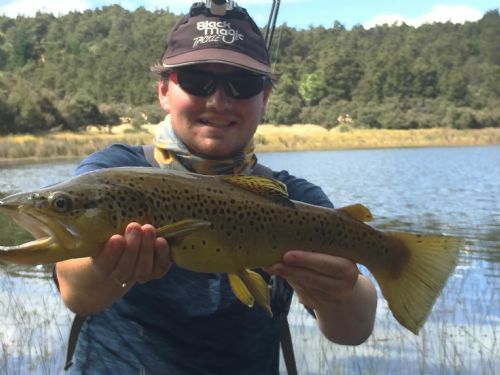 There is another small lake in Hawkes Bay that is rumored to hold Tiger trout. Only fished it once for no result, but like the Kuri lakes it is little known. Cool post - great read! Thanks guys for all the nice messages. Keen to hear about this lake which is rumoured to have tiger trout in it Tagit. I know of the dams at the top of the hinemaia in taupo hold brook trout, which is very much on my list of fish i would like to catch. Any other interesting places like this would be cool to hear about, since there is next to no data on any of these places. This includes the full cast hookup and fight of the large brown. plus many of the fish flying out of the water chasing the adult damsels. I think the Tiger trout experiment died some years back so I doubt that there are any still alive in the lake, but may still get stocked with other fish so worth checking out if you can find it. That would be lake Opouahi,fished it once in the 90's nice little lake.Fish and game still stock it,not sure about tigers though.There is a stream close by that held some good fish too cant remember the name though,think it was the start of the Arpaonui river? Thanks coochd. That is the one. I thought that lake held Brook trout and not tiger but I never fished it. I thought there was a small population of Tiger in the Mohaka but again I've never seen one. I've done alot of digging on the history of where some of these fish went in the early days. 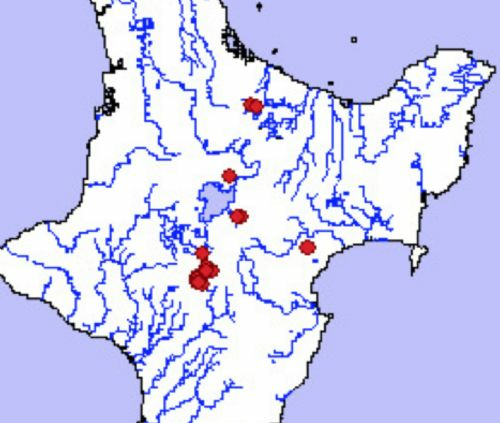 The American Brook Trout (well-thought of in Scotland as a good sport fish and a good table fish”) were sent up from Opawa, Christchurch, and released at Kuripapango. An express waggon was sent to Napier to transport them on arrival at the Spit, only five were lost. The Society retained 240 for breeding. 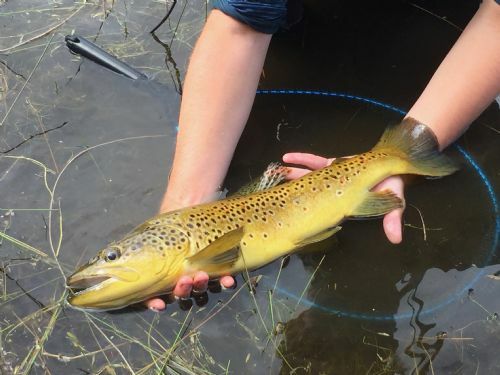 Atlantic Salmon: The Committee was unsuccessful in introducing this fish into the Mohaka River. 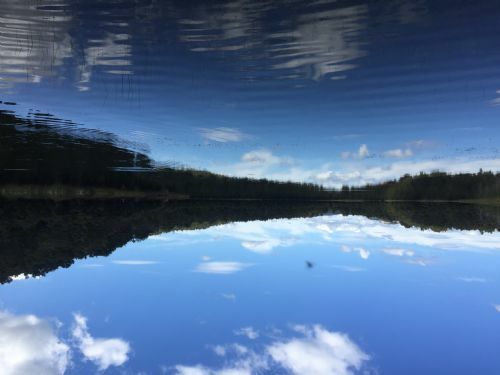 The Chief Inspector of Fisheries, Mr Ayson, expressed the opinion that the temperature in the lower reaches was unsuitable to acclimatise any species of salmon. 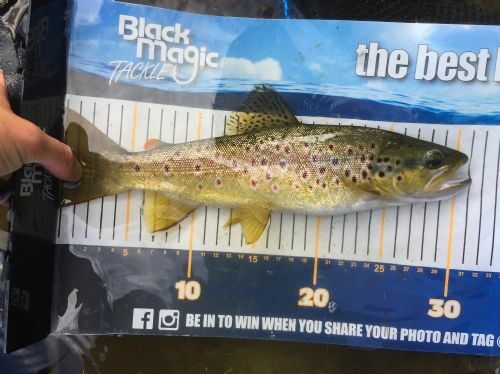 Record Sized Trout: As a result of an inquiry by the Marine Department for details of the largest trout caught in Hawke’s Bay rivers, the following figures came to light. 19lbs. TukiTuki River -1949, Mr W. Potham. 15lbs. Central Hawke’s Bay - 1916, Mr H. Butler. Salmon: A consignment of 2000 ova was received from the North Canterbury Society in May, 1964. A successful hatch was achieved, and in July 1200 unfed fry were liberated in a tributary of the Mohaka. The remainder were retained at the Hatchery as fingerlings. I have seen the Kuripaponga trout leaping and taking dragon flies - at quite some distance. That takes some skill and effort on their part. Snatching them out of the air. 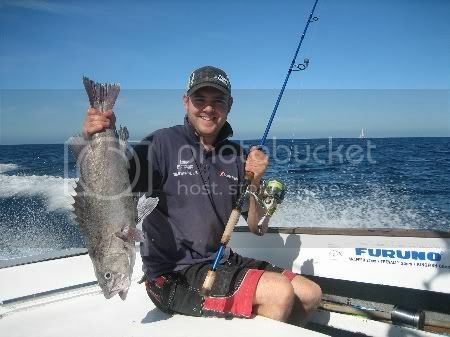 Also fished Opuahi for zilch - on more than one occaision. But saw trout - just could not nail them. Also believed I was fishing for tiger trout. There was a guy - Bob Fenton I think, who used to write a local column on trout fishing. An expert on most things. I am sure he quoted Tiger trout at Opuahi. I think F&G stopped stocking Lake Rotoma with Tiger Trout as no one could atch them!! Excellent report Epic. I used to live in Hastings and fished the local rivers and occasionally went further inland to the Kawekas. 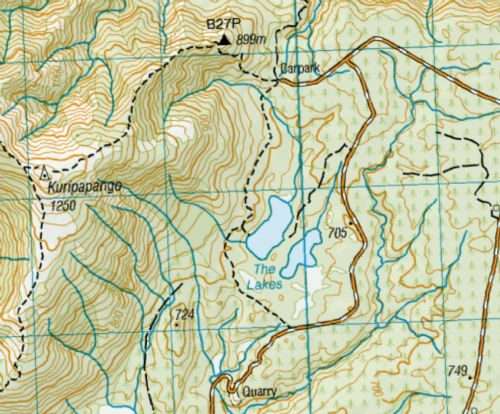 But I never heard about Lake Kuripaponga even tho I fished the Ngaruroro in that area. It's on my bucket list now, even if I just walk it. The Moawhango Rv off the Desert Rd held Brook Trout above a waterfall. 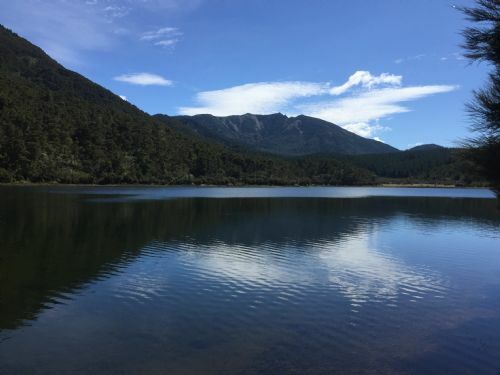 When lake Maowhango was created in the seventies to divert water into the Tongariro Power Scheme the brookies spread into the lake and grew to a good size. 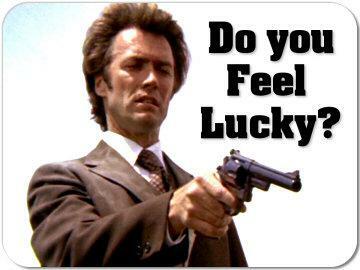 I interview an army officer in Waiouru who had a 6lb stuffed brookie in his office. he caught that at the lake. Trouble is the lake is on army land and off limits to civilians. That might have changed since the wild horses have been saved and becoming a tourist attraction. No harm inquiring at Waiuru army camp. I know the brook trout are still there and probably the best in NZ.